The standard for budgeting for the completion and furnishing of your new home. Planning and furnishing your home can be a herculean task. Employing a professional interior designer is more important than ever before. Our experience is that even the most savvy home owners rarely understand and budget appropriately for the interiors and décor of their home. The ramifications of under-budgeting are obvious; too often less expensive interpretations with lower standards demean the value and sophistication of your home. Good design does not have to be expensive, but it is rarely cheap. The Home Trust was created to uphold standards in design, integrity and service so that you may accurately prepare to complete and furnish your home. 1. Budget up to 35% of the value of your home for interiors design services and furnishings. An exception to this ‘rule of thumb’ is a re-location of a primary residence with a substantial amount of suitable furnishings and art. An example, if a finished home is valued at $2,500,000 then you should budget $875,000 for the interiors, design fees and project management costs. Protect yourself with a variable of 15%. This investment includes reasonable costs of furnishings and a professional interior designer. 2. Expect that your Interior Designer’s fee will be one third of the total Home Trust Interiors Index budget. 3. Renovations are an additional variable because they add to the complexity and time an Interior Designer invests on your home. Their design fee for renovations will be 15% +/- of the construction cost. A good tip to reduce creeping fees is to employ your Interior Designer at the beginning of a project so all surface materials, fittings, fixtures and functional layouts are part of the total design. 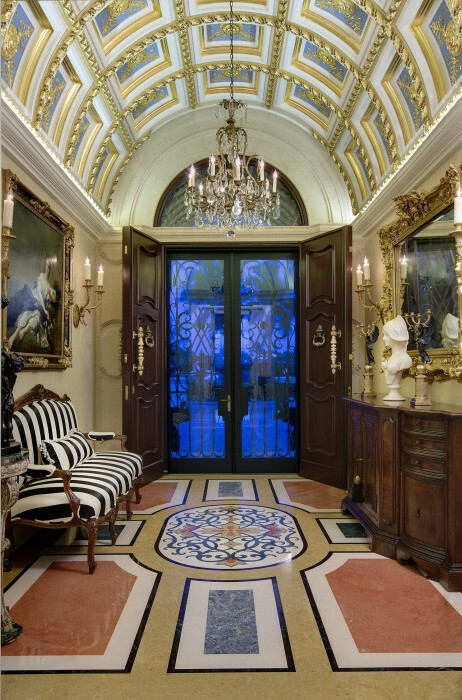 Professional Interior Designers are credentialed and learned individuals. A design fee and project management fees are fair compensation for your designer’s academic achievements, creative and executive talents. Each Interior Designer approaches their billing differently. In many cases, Interior Designers’ have favorable buying arrangements with their vendors, and the margin between their price and retail is how they choose to sustain their business. Some Interior Designers prefer a flat fee or variation in-between. It is not the goal of The Home Trust Interiors Index to determine the right or wrong way to manage an Interior Design business. Our objective is to ensure home owners budget appropriately. The Home Trust Interiors Index is the standard for budgeting appropriately to professionally furnish new luxury homes. It has been compiled with the input of leading design firms across the country and Ann Shriver Sargent, founder and CEO of PORTE-COCHÈRE. Budget up to 35% of the value of the finished home for interior design services, project management and furnishings. Interior design firms generally earn one third of the total investment. Variables include renovations, art or furniture you may be bringing from another home.